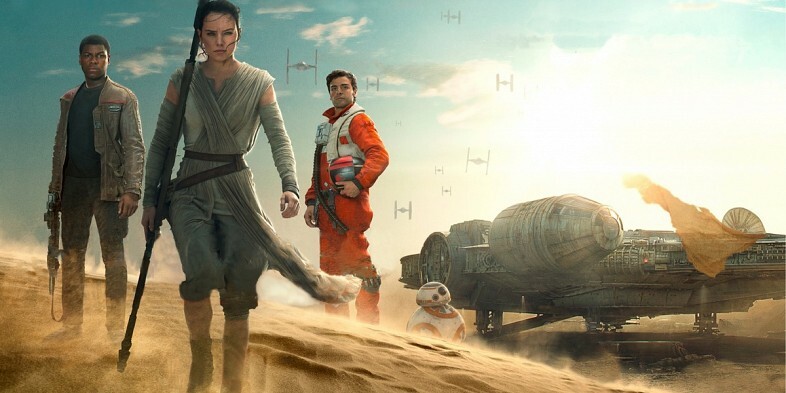 Another day, another box office record beaten by Star Wars: The Force Awakens. The film became the fastest movie to earn $1 billion at the box office yesterday, doing so in just 12 days, beating Jurrasic World which had held the previous record of 13 days. The film also took the record for biggest Christmas Weekend at the box office as well, making $153.5 million domestically. The question is, how high will it go? Could The Force Awakens dethrone Avatar? I guess the answer to that is another question: how many times have you seen The Force Awakens and how many more times do you plan on seeing it? Let us know in the comments. Wait until China opens. Bye bye record. Twice already within 24 hours of opening and a 3rd time tomorrow. Woo Woo. One time, two to go. 3 times more to go ! 3 times so far at least 2 to go. Bye bye Avatar, this movie is is going to pass that record at this rate. I've seen it three times. Plan on going at least several more. And yes, this movie went north of a billion without it even being shown in China. Wait 'till that happens. Disney paid £4bn for Lucasfilm,right? And Star Wars VII has already made a quarter of that investment in just 10 days! And there's still six months before the DVD/bluray release.At this rate,Disney will have made its money back long before Episode VIII graces cinema screens next year. seen it twice. plan to go again at least three more times. i've seen it three times. i want to go imax at least once more. need that boom boom bass.